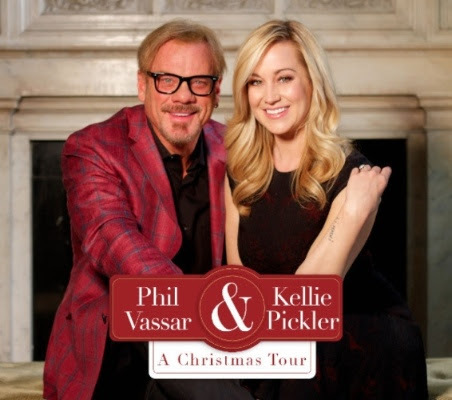 NASHVILLE, Tenn. (November 14, 2017)– Before hitmaker Phil Vassar and critically-acclaimed country music singer/songwriter and television personality Kellie Pickler entertain audiences across the U.S. on their A Christmas Tour, they’re bringing holiday cheer to fans with a new, original holiday tune. “The Naughty List” is out now with the music video premiering today on Yahoo Music. “We really had a good time shooting [the video], and Kellie is such a natural in front of the camera. She really knocked it out of the park. Given we both do a lot of work for the USO, it was really neat we were able to include them in the shoot,” Vassar told Yahoo Music. "I love this song," shares Pickler. "The moment Phil sent the lyrics to me it felt like a classic. I am looking forward to A Christmas Tour and performing it with Phil on the road throughout this holiday season." "The Naughty List" was written by Vassar and Juliana Songs, and co-produced by Vassar and long-time friend Dane Bryant, who also co-produced Vassar’s first Christmas album, Noel.